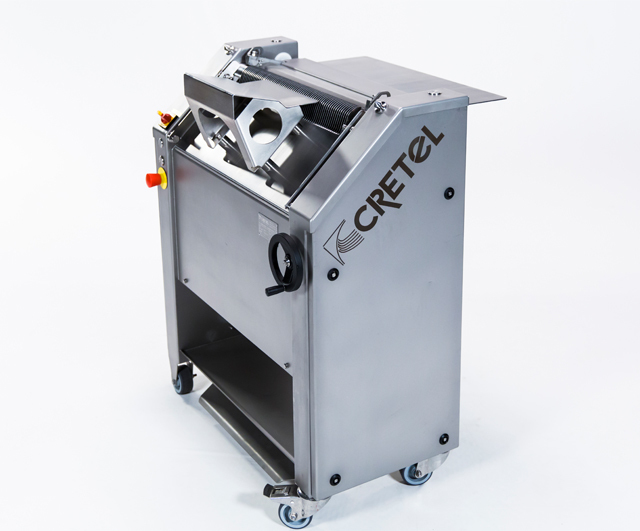 The Cretel SB56 is a specially-designed unit with an inclined in-feed table for the manual derinding of round cuts like hams. 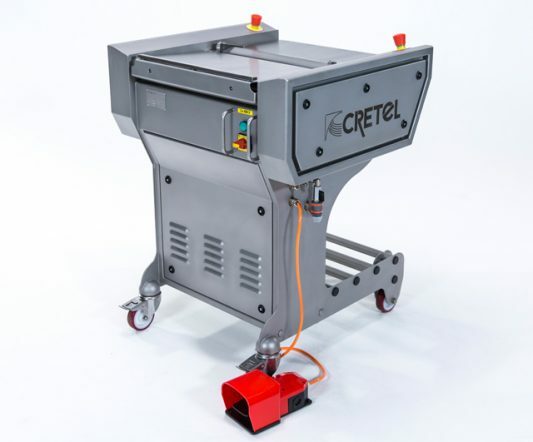 This machine is safe to operate, easy to service and maintain, and built on sturdy stainless steel castors with brakes for extra mobility. 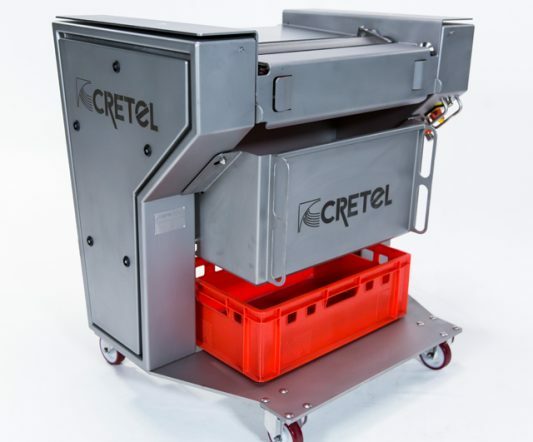 The rational solution for the modern meat processing industry. 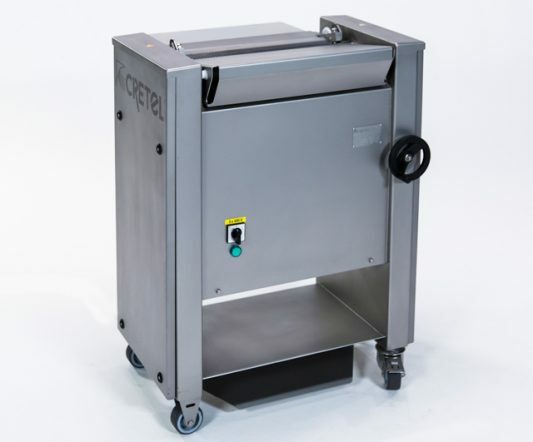 For the skinning of ham and rounded pork cuts. 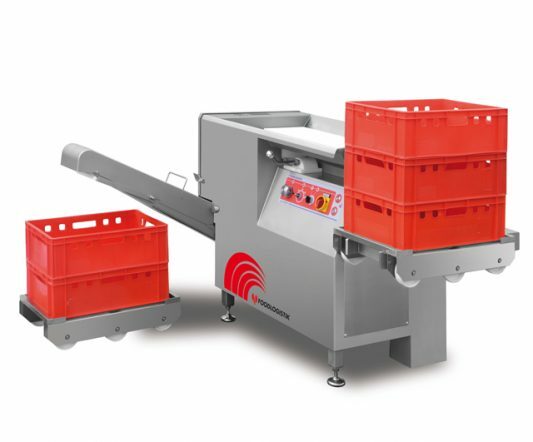 Skinning width of 560 mm.